Trailblazing Teachers Bring Computer Programming Into the Classroom | Features | Kids VT - small people, big ideas! Young programmers work on digital art at Code Camp. Studying a foreign language is a rite of passage in middle and high school. But though many students learn to speak and understand basic French or Spanish — which they may never even use — just a few can interpret commands in a language that is increasingly important in their lives: computer code. As computers become more prevalent in the workplace and in daily life, it's important to have a baseline understanding of how they operate, says Caleb Clark, faculty chair of the educational technology program at Marlboro College. Not every kid is going to grow up to be a computer programmer, he notes, but "we live in this new world surrounded by technology, and we all need to know the basic phrases." Kids are often eager to learn programming, or coding. In August, a group of 65 students and six educators gave up a week of summer vacation to participate in an intensive "code camp" at the University of Vermont. Run by UVM's Tarrant Institute for Innovative Education, this weeklong program introduces kids entering grades 5-12 to programming. I spent an afternoon there, watching students light up with enthusiasm — sometimes literally. "Are you affected by flashing lights?" 15-year-old Nathaniel Mercer asked me, before activating a visual design he'd created using the programming language Java. He pressed a computer key and 100 small squares pulsed different colors on the screen. "What I want to do is video-game graphic design," he said. "I thought this would be a good place to start." 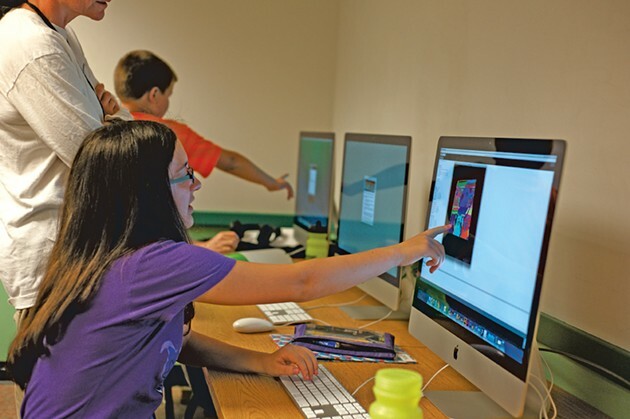 Each year, industry professionals join educators at the camp, leading classes in digital art, interactive games and apps. Vanessa George, a sixth grader at Mater Christi School in Burlington, showed me a project she was working on using Scratch, a free programming language developed at MIT. She was coding a game in which an on-screen monkey had to collect colorful balls. "This is something I could do for a career," she said emphatically. That's music to Penny Bishop's ears. The Tarrant Institute director cites a report released this year by the Association for Computing Machinery that shows the number of computing jobs is rapidly increasing across the country, outpacing all other types of science, technology, engineering and mathematics jobs. The positions pay well, too; the national average for computing jobs is $80,020 a year. Despite these statistics — and student enthusiasm — few K-12 schools across the country teach computer programming. In Vermont, fewer than 20 offer such a class, estimates Peter Drescher, education technology coordinator for the Vermont Agency of Education. Just 33 students in the state took the computer science Advanced Placement Exam last year. "It's something we've neglected in schools for quite some time." Drescher says. "Schools are hungry for it." During a visit to Essex High School last year, Drescher asked a student, "If you could choose one thing to improve upon, what would it be?" More programming courses, the student replied. The biggest barrier? Finding people to teach them, Drescher says. Only 34 educators in Vermont have teaching endorsements in computer science, and a number of those received them years ago, in a different tech time. The state only has one approved program that grants teaching licensure in computer science — at Middlebury College. Kids work in teams to make scanable QR codes out of M&M's at Code Camp. Vermont colleges and universities are scrambling to fill the void, but certification takes time. Rather than waiting around, some teachers are forging ahead, using whatever resources they can find. Luckily for them, the state has entrepreneurs and tech companies eager to inspire a tech-savvy future workforce. The Tarrant Institute, for example, is supported by the Richard E. and Deborah L. Tarrant foundation; Tarrant co-founded the healthcare tech company IDX Systems, now GE Healthcare. His sons run another local tech company, Winooski's MyWebGrocer. And then there's Code.org, a privately funded national nonprofit, that aims to make coding more accessible to kids. Its backers include Microsoft, Google, Amazon and LinkedIn. Last December, during National Computer Science Week, the organization enticed K-12 schools across the world to offer a single hour of coding instruction, called the Hour of Code. Teachers didn't have to know how to code; they simply had to set aside one class period for their kids to use Code.org lesson plans, a series of free, self-guided tutorials that used video games such as Angry Birds and Plants vs. Zombies to teach coding concepts. The initiative was a hit. Code.org reports that 20 million kids in 170 countries participated, including thousands of students at 110 schools across Vermont. Whitney Machnik, a Montpelier High School math teacher with an undergraduate degree in computer science, says the success of last year's Hour of Code prompted her school to create an Introduction to Computer Science course, which she's teaching this semester. Some of her students are beginners, others are more experienced, but Scratch is appropriate for all levels. Coding "really opens up their creative mind and their linear mind," Machnik says. Students dream up unique games, then work step-by-step to execute their vision. More advanced students also have the opportunity to undertake self-directed projects, such as learning the programming language HTML to create web pages. Nic Phillips, the library media specialist at Oxbow High School in Bradford, is young enough to have learned basic coding as a student at Blue Mountain Union High School in Wells River (class of '04). Last year's Hour of Code "got my gears turning," he says. After his eighth grade students — Oxbow is a 7-12 school — completed the challenge, they moved onto Code.org's 20-hour online programming course. Initially, some of the kids were not interested or were intimidated by the topic, Phillips says, but Code.org's approach — focusing on computational thinking rather than the complex syntax of coding — helped most of them warm up to it. This past summer, Phillips taught at Young Hacks Academy, a problem-solving camp for kids ages 9 to 14. The program, started in 2013 by Colchester School District communications consultant and parent Tom Bacon, teaches kids to be makers rather than just consumers of technology. Campers act as "special agents" carrying out missions to solve local and global problems. How? They might use Scratch to create interactive games. Throughout the curriculum, they learn the four steps of problem solving — understand, plan, create and review — and acquire presentation and leadership skills. Phillips says the Young Hacks curriculum inspired him to try a similar approach with his eighth graders this year. Over nine weeks, his students will use Scratch to create games that address real-world problems such as the decimation of trees by the emerald ash borer and bringing technology to rural communities. It's never too early to start coding. At the beginning of school at Flynn Elementary in Burlington last year, fourth grade teacher Nick Mack introduced himself to his class with a story he created using Scratch. Throughout the year he set up workstations where kids could learn to make racecar and helicopter games. When it came time to write thank-you cards to local engineers who had helped the class with a project, kids worked in pairs to code them instead of write them. Mack, one of the original Young Hacks Academy instructors, learned to code at Saint Michael's College, where he double majored in math and education. This year, he plans to integrate computer programming into his social studies curriculum. He and his fourth grade teammates will teach their students to use a program called Aris, which allows them to create maps and artifacts showing their understanding of a specific time period. Mack's coding expertise has come in handy beyond the classroom. He wrote a computer program to help the school with scheduling, then shared the code he wrote with his students — not because he expected them to understand it, he says, but so they could see the practical applications of programming. His efforts seem to be paying off. Mack recounts that last year, some of his students got so excited by coding that they began creating computer games at home. They'd email him in the evening asking for help. "Working with kids when they're really excited about a new concept," he says, "is probably one of the greatest things you could see." 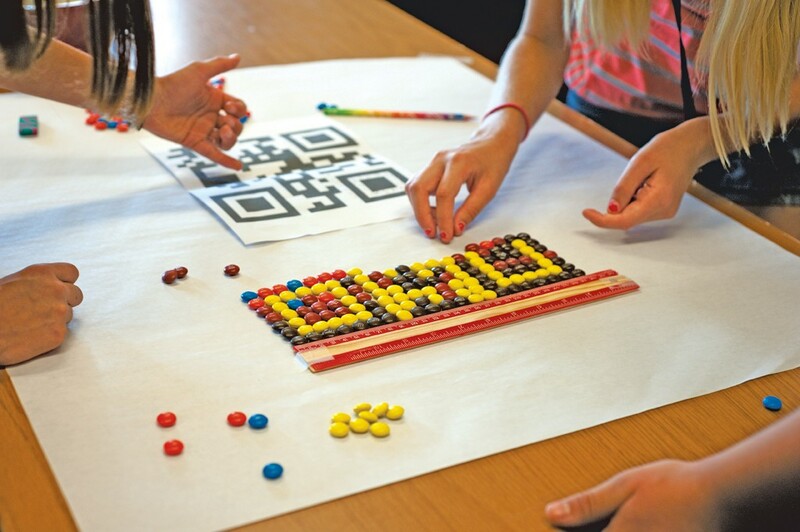 Want to see more coding in your school? Peter Drescher from the Agency of Education recommends identifying knowledgeable people in the school community, and from local companies, who might be able to teach kids through afterschool clubs and informal activities. "If we get enough of that going from a groundswell perspective," he says, "there will be kids coming out of these ranks motivated to do this." 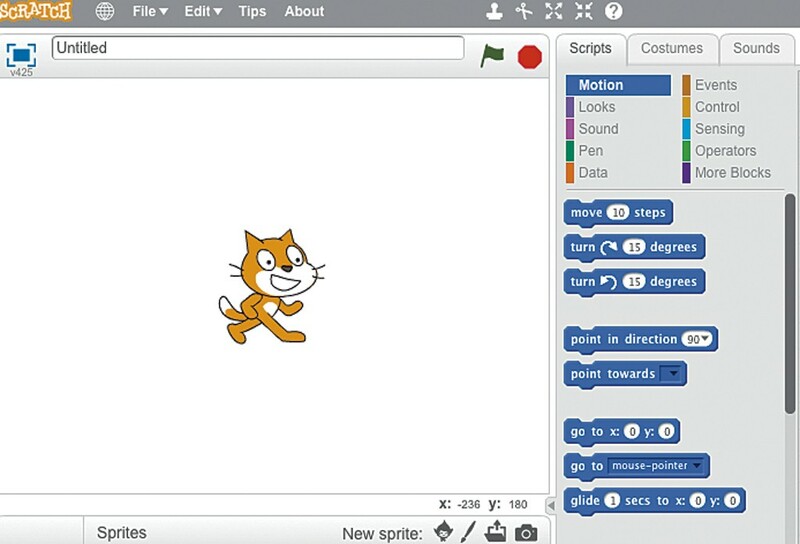 Scratch (scratch.mit.edu) is a free programming language designed for kids ages 8 to 16. The website has a step-by-step tutorial for newbies and a "Getting Started" PDF available for download. 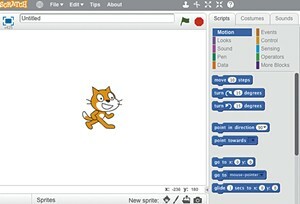 Kids can program objects, called sprites, to create their own interactive stories, animations, games, music and art. An online community lets users explore and build on projects others have created. ScratchJr is a free iPad app that lets children ages 5 to 7 create more basic stories and games. The interface is designed to be developmentally appropriate for younger children — no reading required. Want to try the Hour of Code tutorials? Visit Code.org, where you can complete the same program many Vermont students tried last December. The nonprofit's K-8 Intro to Computer Science course provides an additional 20 hours of tutorials and activities that educators can use in classrooms or afterschool clubs. A new program called Code Studio, for kids in grades K-5, includes lessons that blend online, self-guided tutorials with "unplugged" activities. Young Hacks Academy introduces kids ages 9-14 to basic coding while also encouraging them to be leaders and problem solvers. The program is offered in 10 locations throughout the state. Visit younghacksacademy.com to learn more. The Tarrant Institute for Innovative Education collaborates with middle schools to provide technology-rich learning. The institute also provides technology-based professional development to teachers. Visit uvm.edu/tiie to learn about its initiatives. Vermont Virtual Learning Cooperative partners with middle and high schools to offer online courses — including coding classes — to Vermont students. Last year, 99 students from 21 different middle and high schools took courses related to programming through VTVLC. To learn more, visit vtvlc.org. Vermont colleges are starting to take steps to ensure more teachers-in-training understand programming — and how to use it in their classrooms. At UVM, assistant professor Carmen Smith requires her undergraduate students to do a Scratch project in her Educational Technology class, a requirement for all secondary education majors. From creating digital narratives in a Language Arts class to exploring rotations and reflections in geometry, coding can make them better teachers, Smith says. UVM is currently working toward creating a pathway for education students to get a dual endorsement in computer science and another subject. At Champlain College, a 15-credit educational technology specialization introduced this fall allows education majors to take classes in web development and game design. Students looking for a teaching job after graduation will have a leg up on the competition because they "will be able to go on the job market and say 'I'm a history teacher but I can create games and build websites,'" says assistant professor John Stroup.